But, naturally, those colorways may well bump you up the selection process. Your victories are part of the package, but it’s less about podiums and more about panache – we’re talking about a lasting legacy you’ve made in the sport. That’s the stumbling block for most. In our eyes, Legends must be bastions of cycling, with reputations that precede them. Long before these particular riders became BMC Legends, they relied on the sheer power of their pedal strokes to take themselves from aspiring to elite. From there, they tirelessly worked on the front of the peloton, ended their careers with Olympic golds, or even went from being an off-road prodigy to a road one. There’s a lot we can learn from them. On the track or the roads, be it Grand Tours or one-day Classics, their day-job used to be heading up the pro peloton. These days, while their ambitions may have diversified, they’re no less Legendary. Cadel Evans doesn’t need an introduction. The winner of the Tour de France in 2011 and the elite’s men road race at the UCI World Championships in 2009 has been a member of the BMC family since 2010. 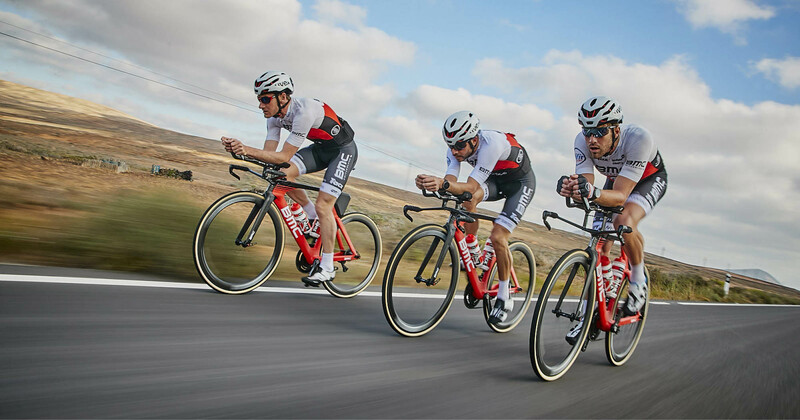 After retiring from competition in 2015, Cadel became our Global Brand Ambassador and testeur en vie of our bike prototypes, working closely together with our product team to provide them with technical rider feedback. The Australian lives in Mendrisio in the southernmost canton of Switzerland and just published his second book – ‘The Art of Cycling’. One of Mountain Biking's greatest athletes. With two Olympic gold medals, five World Championship titles, six overall World Cup victories, thirty-three World Cup wins, five European Championships titles, fourteen French National titles, and countless other victories, Julien Absalon is, without a doubt, one of mountain biking's greatest athletes. The Frenchman stopped his Olympic Cross-country career in 2018 and is now dedicating his time to the Absolute Absalon team where he shares his experience of racing, investing it into promising cross-country talents. Icon is a word that gets thrown around a lot in cycling, but if there’s one person it irrefutably applies to then it’s Fabian Cancellara. The Swiss rider that dominated time trials and one-day races over the past decade is the first to admit he likes going fast, really fast. And when you enjoy something and are good at it, results in the biggest races follow. Early success came on the time trial courses of World Championships and Grand Tours, followed by eternal glory at prestigious one-day classics like Milan–San Remo, Flanders, and Roubaix. In his sixteen years as a professional, the dominant figure of Cancellara brought home two Olympic Gold medals from Rio and Beijing, as well as no fewer than four seasons spent in a rainbow time trial suit. With less of an interest in hunting World Champion stripes these days, Cancellara spends equal time riding with his wife and daughters as he does heading up a dynamic business venture with his innovative global race series, Chasing Cancellara, as well as a host of corporate events. He was always a well-liked cyclist, and now it looks like he may be even more popular than ever. The name Hincapie has come to define an ambitious image of cycling that extends way beyond his illustrious 19-year racing career. At present, USA-based George Hincapie is perhaps better known for his cycling team, custom and retail cycling apparel company, and overwhelmingly popular Gran Fondo Hincapie series as opposed to riding on the front of the bunch, but this astute rider capped no fewer than 17 appearances at the Ronde Van Vlaanderen and the Tour de France. It’s fair to say that Hincapie schooled himself to earn the badge of being the ultimate teammate. Now competing at everything from the Cape Epic and beyond, Hincapie is still renowned as one of cycling’s biggest rouleurs – but these days, he isn’t just riding to the commands of the team car.